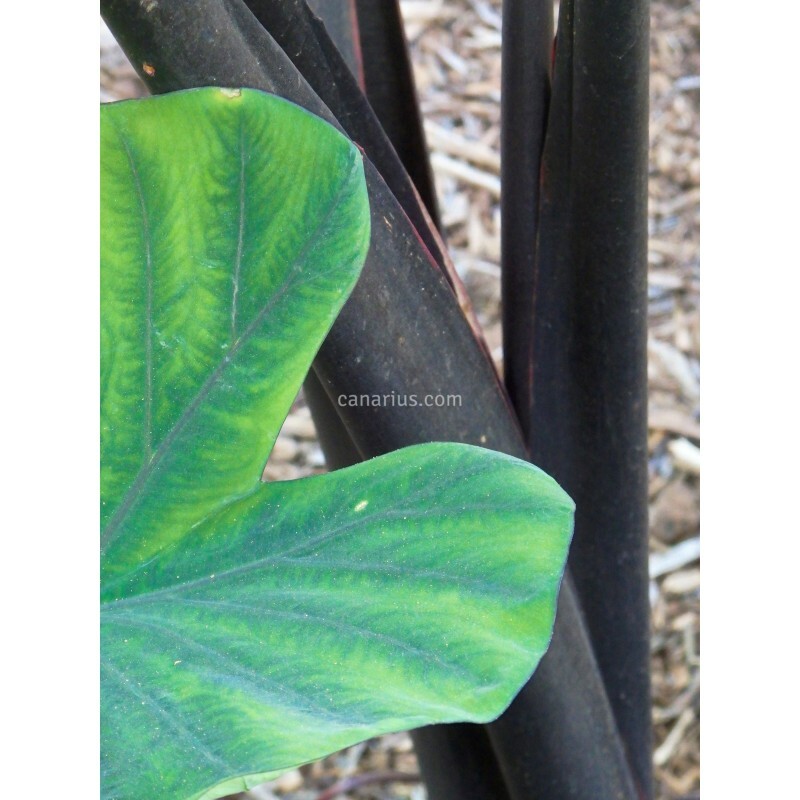 This Polynesian crop is also an incredible ornamental, with bold thick leaves and truly black leafstalks. This taro cultivar is incredibly ornamental, with bold thick leaves and truly black leafstalks. The crop cycle takes 9-12 months from tip cutting to maturity. 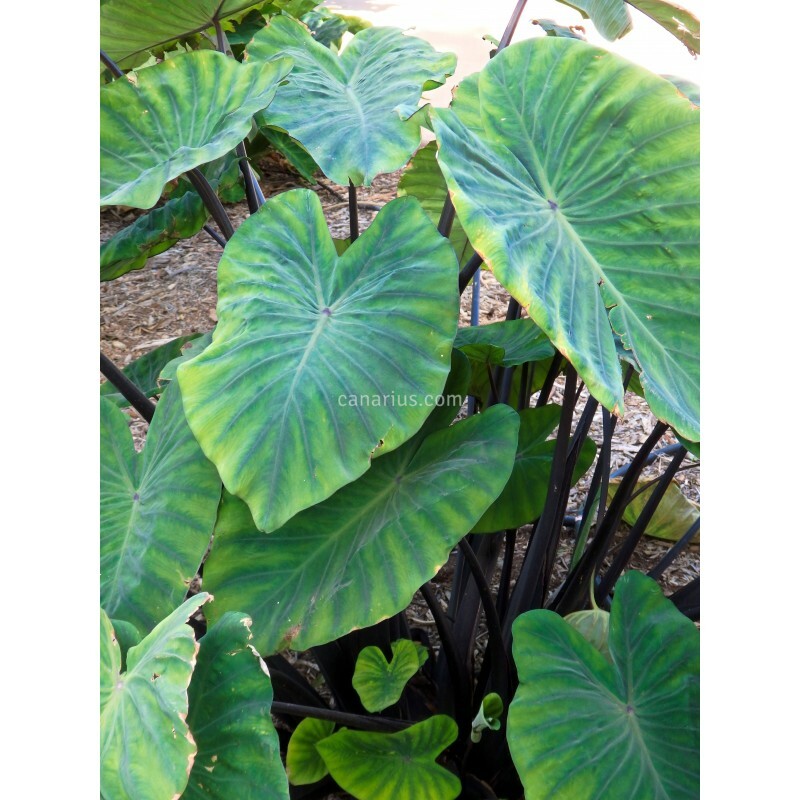 It is traditionally grown upland (not in permanently flooded plots), and it gives and excellent table taro (cooked steamed, fried or boiled). 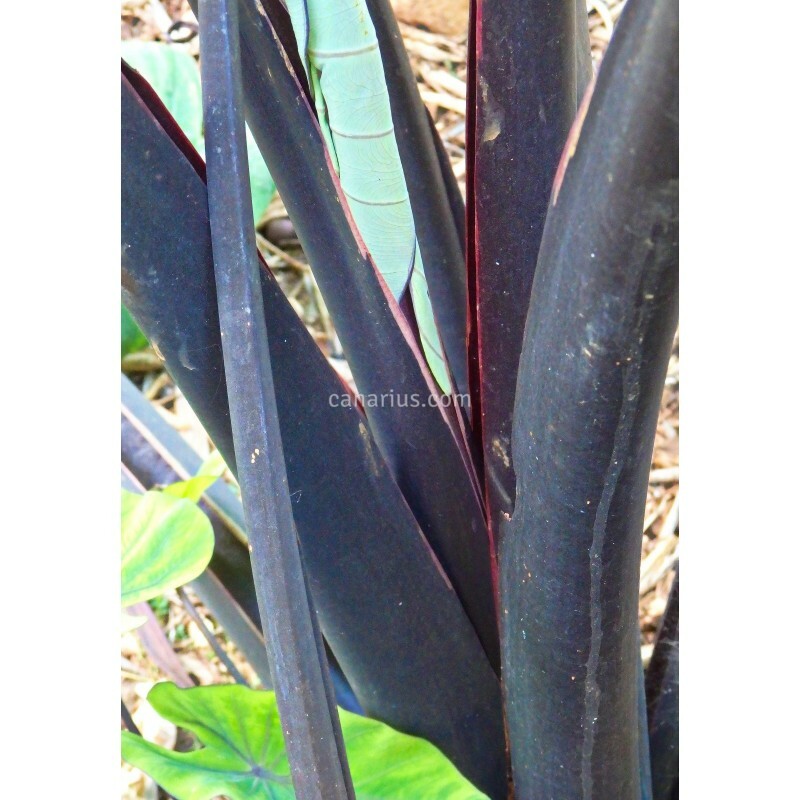 This cultivar is one of the most drought-resistant of all the Hawaiian taros.